John Cawte Beaglehole OM CMG (13 June 1901 – 10 October 1971) was a New Zealand historian whose greatest scholastic achievement was the editing of James Cook's three journals of exploration, together with the writing of an acclaimed biography of Cook, published posthumously. He had a lifelong association with Victoria University College, which became Victoria University of Wellington, and after his death it named the archival collections after him. Beaglehole was born and grew up in Wellington, New Zealand, the second of the four sons of David Ernest Beaglehole, a clerk, and his wife, Jane Butler. His younger brother was Ernest Beaglehole, who became a psychologist and ethnologist. John was educated at Mount Cook School and Wellington College before being enrolled at Victoria University College, Wellington of the University of New Zealand, which later became an independent university, and where he subsequently spent most of his academic career. After his graduation, he was awarded a scholarship to study at the London School of Economics, and left for England in 1926. After three years of post-graduate study Beaglehole obtained his PhD with a thesis on British colonial history. At this time he was much influenced by left-wing teachers, especially R. H. Tawney and Harold Laski, and on returning to New Zealand he found it difficult to obtain an academic post owing to his radical views. For a time he had various jobs including a spell as a Workers Educational Association lecturer, and had time to develop other enthusiasms including civil rights issues, writing poetry, and music, an interest inherited from his mother. In 1932 he took a temporary position as a lecturer in history at Auckland University College, but within months the position was abolished in a retrenchment by the college council. Many believed the decision was due more to the college's reaction to Beaglehole's reputation (albeit exaggerated) for radicalism. His academic career finally took off in 1934 after the publication of his first major book, The Exploration of the Pacific, after which he developed his specialist interest in James Cook. He became lecturer, later professor, at the Victoria University College. He married Elsie Mary Holmes in 1930, and they had three sons. Beaglehole became known internationally for his work on Cook's journals which brought out his great gifts as historian and editor. It was not all desk work among the archives – he also travelled widely in Cook's wake, from Whitby to Tahiti, to Tonga and to the New Hebrides. The four volumes of the journals that emerged between 1955 and 1967 were subsidised by the New Zealand government which also set up a special research post for their author. The sheer size of these tomes, each of them approaching 1,000 pages, may seem disconcerting at first sight, but they are enlivened by Beaglehole's stylish and often witty introductions, intended to set the journals in their contexts. As well as Cook's own journals Beaglehole also printed, either entire or in lengthy extracts, the journals of several of Cook's colleagues on the voyages. The introductions themselves, together with copious footnotes, reveal the breadth of his erudition. They cover many topics, ranging from the structure of Polynesian society to oceanography, navigation, cartography, and much else. Much of the zoological and botanical notes for Beaglehole's work on James Cook's three voyages were provided by Dr Averil Margaret Lysaght. Cook's journals themselves had never before been comprehensively and accurately presented to the public, and to do so required enormous research since copies and fragments of the journals and related material were scattered in various archives in London, Australia and New Zealand. For his edition, Beaglehole sought out the various surviving holographs in Cook's own hand in preference to copies by his clerks on board ship, and others. 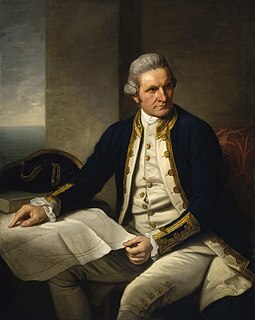 For the first voyage, the voyage of the Endeavour, he used mainly the manuscript journal held in the National Library of Australia at Canberra. This only came to light in 1923, when the heirs of a Teesside ironmaster, Henry Bolckow, put it up for sale. Bolckow had purchased this manuscript at an earlier auction, in 1868, but had not made his ownership widely known, and consequently it was assumed for many years that no such holograph existed. For the second voyage Beaglehole used two other partial journals in Cook's hand, both of which had the same early history as the Endeavour journal. All three had probably once been owned by Cook's widow, and sold by a relation of hers at the 1868 auction. The difference was that the two partial journals from the second voyage were then purchased by the British Museum and not by Bolckow, and hence had long been available for public consultation. And for the third voyage Beaglehole's main source was a journal written, and much revised, by Cook up to early January 1779, a month before he died. What happened to the final month's entries, which must certainly have been made, is uncertain. This, too, is today in the British Library, the successor to the British Museum as a manuscript repository. All students of Cook owe an enormous debt to Beaglehole for his all-encompassing editorship. So much so, in fact, that today it is difficult to view the subject of Cook except through Beaglehole's perspective. Some recent biographies of Cook have tended to be little else than abbreviated versions of Beaglehole. Nevertheless, it is also clear that Beaglehole’s work is, by and large, a continuation of the long tradition of Cook idealisation, a tradition from which post-Beaglehole scholarship has started to diverge. For Beaglehole, Cook was a heroic figure who could do practically no wrong, and he is scathing about those contemporaries of Cook who ever ventured to criticise his hero, such as Alexander Dalrymple, the geographer, and Johann Reinhold Forster, who accompanied Cook on the second voyage. Recent research has to some extent rehabilitated both Dalrymple and Forster. During his last decade Beaglehole was showered with honorary degrees from universities at home and abroad and other distinctions. Perhaps the most prestigious was the award in 1970 of the British Order of Merit. He was only the second New Zealander ever to receive this award, the first being the nuclear physicist Ernest Rutherford. Just before he died in 1971 Beaglehole was in the process of revising his detailed and authoritative biography of Cook, which was subsequently prepared for publication by his son Tim, who was Chancellor and Emeritus Professor at Victoria. Beaglehole's alma mater, the Victoria University of Wellington, named its archival collections after him, in the reading room of which is displayed his portrait, by W.A. Sutton. The J.C. Beaglehole Room, as it is known, was moved into a completely new space in 2011. The Exploration of the Pacific, London, A. & C. Black, 1966. ed., The Endeavour Journal of Joseph Banks 1768–1771, vol 1 & vol 2., Sydney, 1962. ed., The Journals of Captain James Cook: The Voyage of the Endeavour,1768–1771, Cambridge, 1955, reprinted 1968. ed., The Journals of Captain James Cook: The Voyage of the Resolution and Adventure, 1772–1775, Cambridge, 1961, reprinted 1969. ed., The Journals of Captain James Cook: The Voyage of the Resolution and Discovery, 1776–1780, 2 vols., Cambridge, 1967. The Life of Captain James Cook, Stanford, California, 1974. 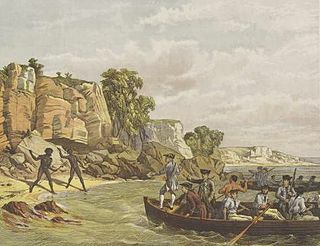 The Death of Captain Cook. Wellington, NZ, Alexander Turnbull Library, 1979. Beaglehole, Tim (2006). A Life of J. C. Beaglehole: New Zealand Scholar. Victoria University Press. ISBN 978-0-86473-535-5. Beaglehole Glacier in Graham Land, Antarctica is named after him. ^ Beaglehole, Tim. "Beaglehole, John Cawte". Dictionary of New Zealand Biography. Ministry for Culture and Heritage. Retrieved 28 April 2012. ^ Clement, Christine; Johnston, Judith, eds. (1993). Women of South Taranaki, their stories = Nga wahine toa o Taranaki tonga, o ratou korero. Hawera: Hawera Suffrage Centennial Local History Group. p. 182. ISBN 047302046-7. ^ Cook, James, 1728–1779. Journal of the H.M.S. Endeavour, 1768–1771 manuscript. ^ "J.C. Beaglehole Room". library.victoria.ac.nz. 2011. Archived from the original on 13 October 2011. Retrieved 2 October 2011. ^ "John Cawte Beaglehole – a history". web.archive.org. 2011. Archived from the original on 18 October 2008. Retrieved 2 October 2011. E. H. McCormick, "Beaglehole, John Cawte (1901–1971)", Oxford Dictionary of National Biography, Oxford University Press, 2004. Tim Beaglehole, "Beaglehole, John Cawte (1901–1971)", The Captain Cook Encyclopaedia, ed. John Robson, London, Chatham Publishing, 2004. Doug Munro, "J.C. Beaglehole—Public intellectual, critical consciences", The Ivory Tower and Beyond : Participant Historians of the Pacific, Newcastle upon Tyne, Cambridge Scholars Publishing, 2009, pp. 15-76. Otago Harbour is the natural harbour of Dunedin, New Zealand, consisting of a long, much-indented stretch of generally navigable water separating the Otago Peninsula from the mainland. They join at its southwest end, 21 km (13 mi) from the harbour mouth. It is home to Dunedin's two port facilities, Port Chalmers and at Dunedin's wharf. The harbour has been of significant economic importance for approximately 700 years, as a sheltered harbor and fishery, then deep water port. Old St Paul's is an historic site, a city landmark and a popular wedding- and event-venue in the heart of Wellington, the capital city of New Zealand. The building served as the pro-cathedral of the Diocese of Wellington of the Anglican Church between 1866 and 1964. It exemplifies 19th-century Gothic Revival architecture adapted to colonial conditions and materials, and stands at 34 Mulgrave Street, Thorndon, close to the parliament precinct.